I’m back underwater doing what I love – scuba diving in warm, beautiful places! 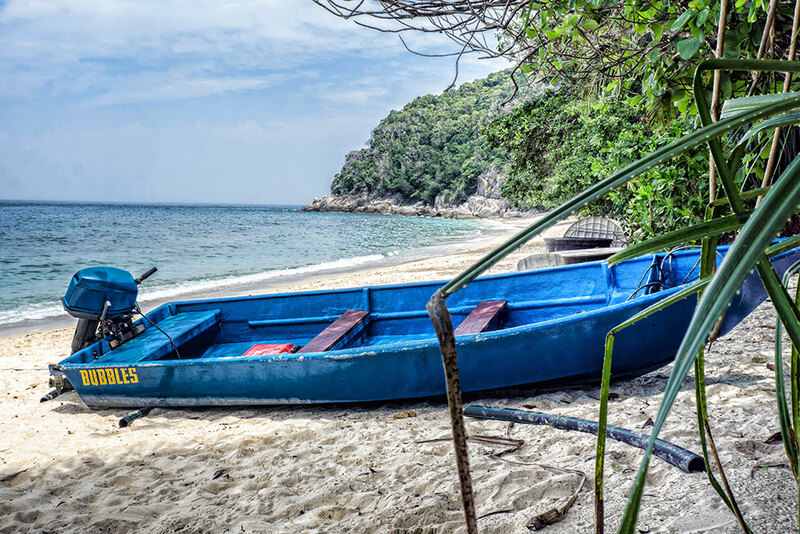 This time it’s on one of Malaysia’s famed vacation islands and diving spots – the Perhentians, known for it’s relaxed diving and natural beauty. 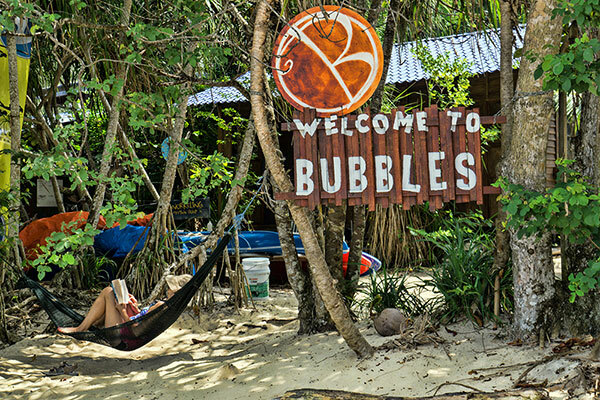 After settling into the top-rated Bubbles Dive Resort I was ready to have some fun diving; and that’s exactly what I found here. When I go diving I always make sure to find the most reputable and safe operation in the area; in this case that was Bubbles. Not only do they have a team of great dive guides and nice equipment, their resort is secluded in it’s own little bay, surrounded by a crescent shaped beach that’s been unspoiled by any developments. Surrounding the beach and resort is a large forest covered hill and a little stream with a hiking trail. 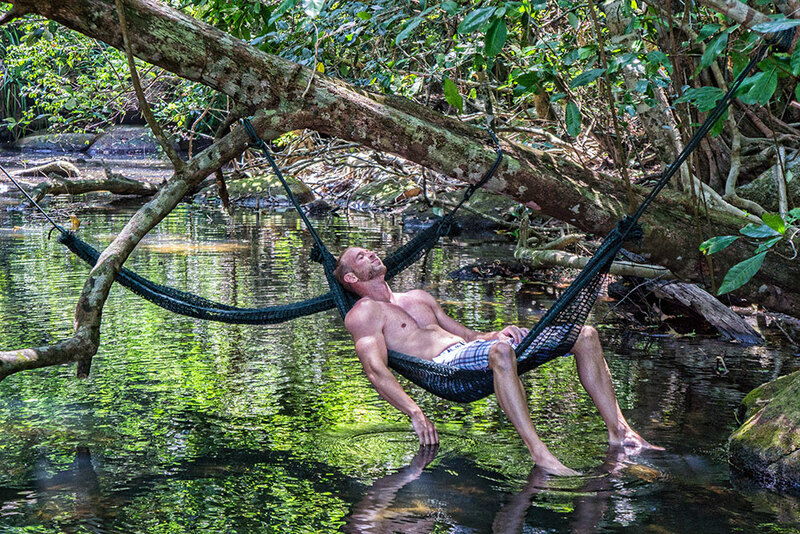 It’s everything you think of when you just want to ‘get away’ to a paradise island. The rooms were comfortable and had A/C, private outdoor showers and a balcony. Since the resort is secluded from the rest of the island I recommend to get the all-inclusive buffet meal packages (a menu-based restaurant is your other choice) which were always good and filling. The beach has kayaks, loungers, and there is some nice snorkeling. I was able to snorkel with many small black tip reef sharks. Bubbles also has a sea turtle conservation project which I enjoyed immensely. 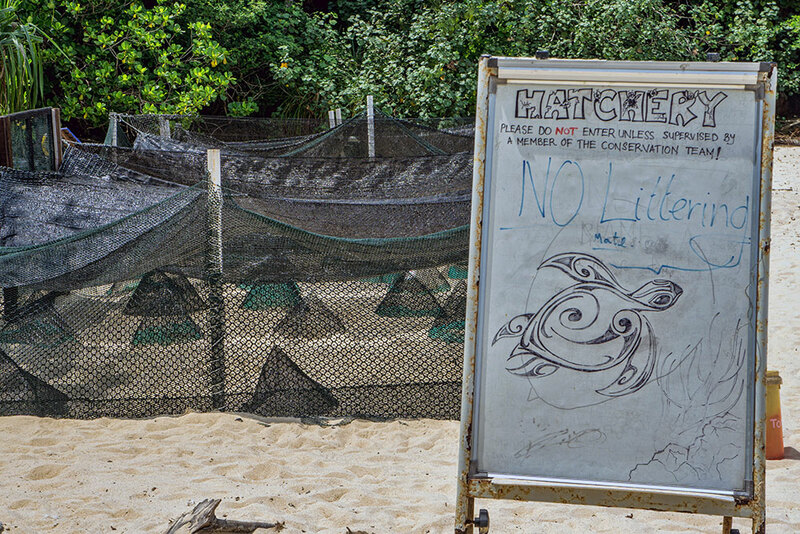 Endangered sea turtles come to this beach to lay their eggs, and the group of volunteers collects the eggs and protects them in a turtle hatchery until they’re ready to be released into the sea. With sea turtle numbers declining worldwide it’s great to see people who are doing what they can to help save them. Diving the Perhentians had a leisurely, laid back vibe similar to what I experienced in Belize. The dive sites are fun and not too technical or challenging, and all were pretty shallow. However visibility wasn’t always the greatest and nowhere near what you find in the Caribbean. 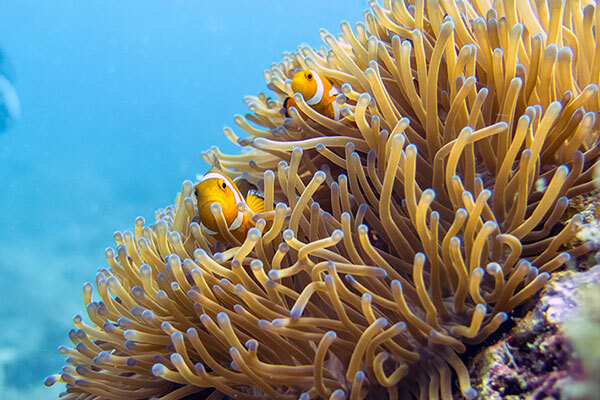 In case your life’s biggest dream is to see a ‘Nemo’ clownfish I’ve got great news for you! Nemo and his entire family all live here.. I spotted more than I could count on almost every dive. In addition to clownfish there were lots of colorful fish and sea creatures to be found. A favorite dive site around the Perhentians is Tokong Laut; an enormous pinnacle surrounded by sandy bottom. 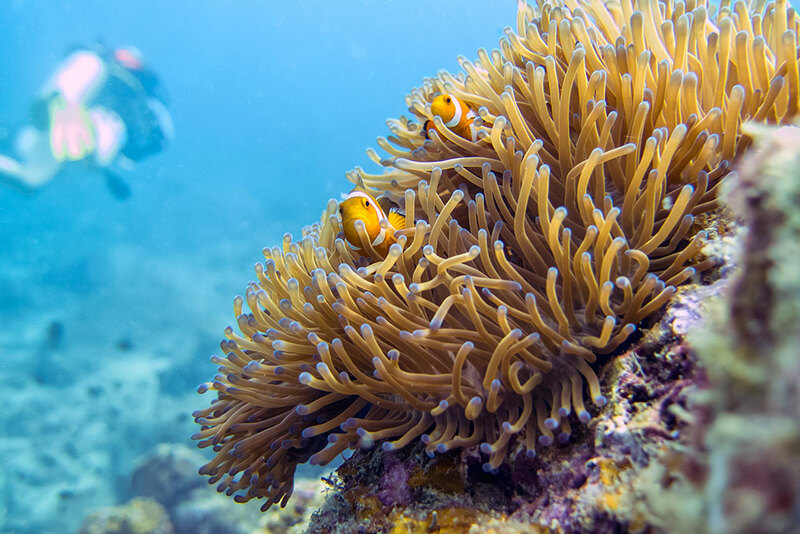 It’s considered by many to be the best dive site in the Perhentians with loads of marine life to see. I enjoyed the life around the islands but the corals are not too impressive. I saw lots of pufferfish, scorpionfish, nudis, and yellowtail jacks around. D’Lagoon was another dive site that really stood out with lots of marine life. D’Lagoon – clownfish, star pufferfish, sea turtle, crown of thorns starfish, blue spotted ray, boxfish. Turf Club – Seahorse searching in muck, but bad visibility nothing spotted. What made the scuba diving in the Perhentians special and worthwhile for me were the shipwrecks. There are a few around which host a lot of interesting marine life and offer something different for a diver who’s not been to many wrecks. Some of them are a good distance from the islands and not all dive operations will take you to them. Some of the wrecks I visited had no other dive boats around, and I’m told that Bubbles is the only one currently taking divers to a few of them.. one more reason to chose your host wisely. 1. The Barge – this is one that only Bubbles goes to (for now), about 45 minutes boat time to get there. 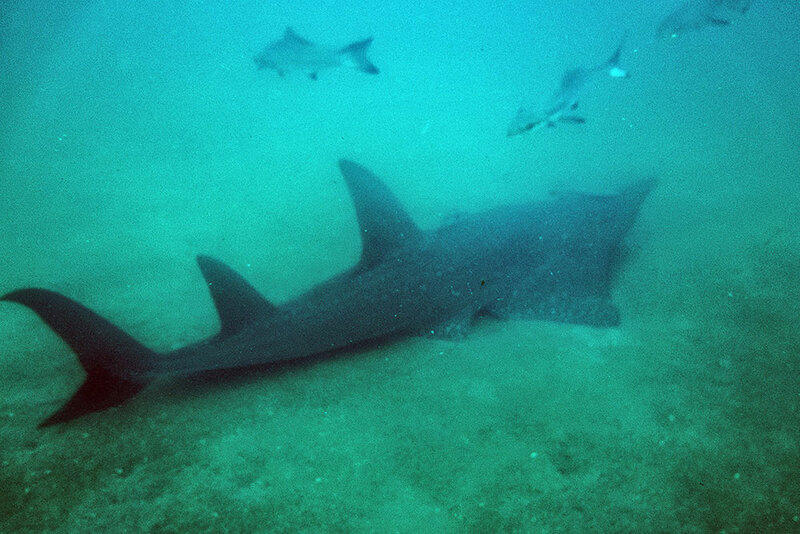 As soon as we descended there were large remoras and as the sandy bottom became visible a large stationary shark appeared in view. Having never seen this species before I wasn’t sure what to make of it, and after the group watched in awe for a minute it decided to bolt, but not before I was able to snap one not so great picture. 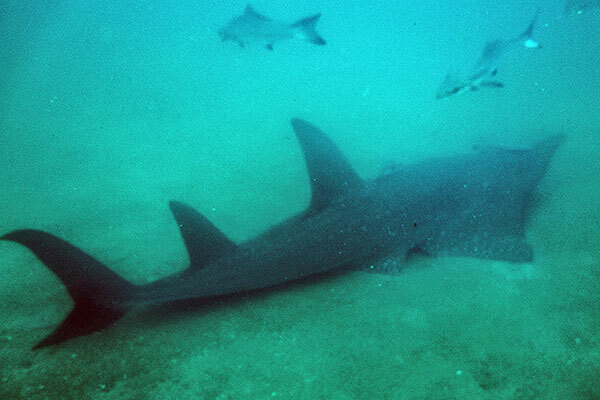 It was a rarely seen and very large guitar shark! That moment was incredible, and so was the rest of the dive. There were star pufferfish and yellowtail jacks everywhere. 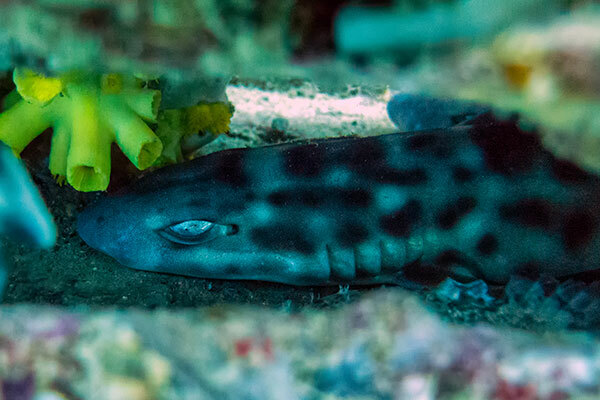 We spotted bamboo sharks hiding in the cracks and crevices of the wreck, 3 eels, and loads of scorpionfish dotted all around. It’s a short dive for no-deco, but the most memorable I had here. 2. Sugar Wreck – A freighter with schools of fish swimming all around the exterior of the wreck. One side was gaping open and easy to get into. A very large barracuda was inside hiding in the shadows. The sandy bottom had camouflaged crocodilefish. 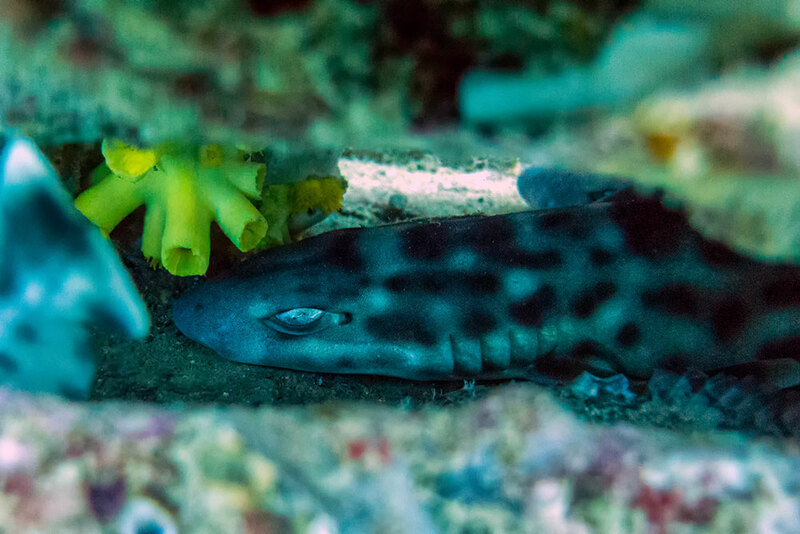 Nooks and crannies revealed hiding cat reef sharks. All around the wreck were pufferfish and scorpionfish. 3. Vietnamese Wreck – This ship was split in half and is now easy to swim through. It’s also one of the most popular wrecks around and can get crowded. I spotted bamboo sharks, pufferfish, nudis, and scorpionfish here. I’m told there are also stonefish but we didn’t have any luck finding one. 4. 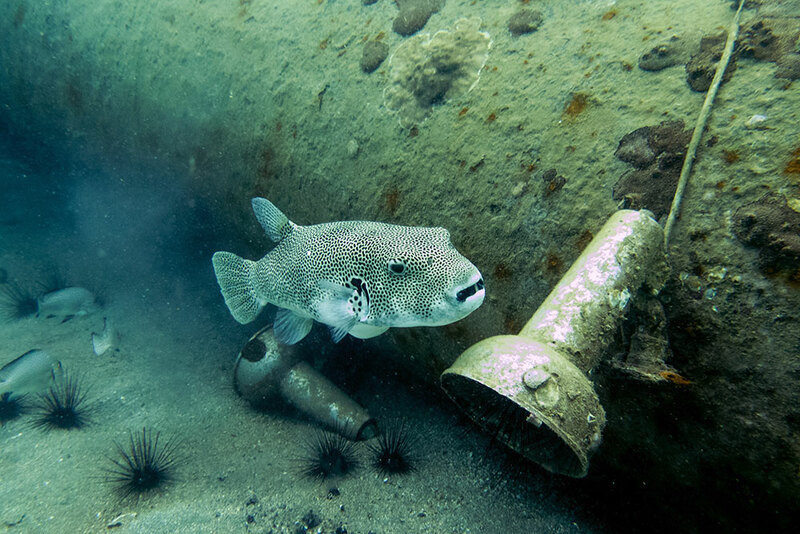 Fish Ball Wreck – This is another wreck exclusively done by Bubbles, and was just recently found. There are loads of schooling fish around and it had a couple peacock lionfish hanging around, the only ones I’ve seen to date. Ready to spend some time relaxing on a beach and scuba diving? If you don’t have a scuba certification this could be an ideal place to give it a shot and learn! Wow! These dives all look incredible! Do you need a special certification to do the wreck dives?